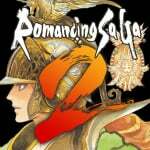 Square Enix is releasing Romancing SaGa 2 on the Switch eShop next week, it has been revealed. The game was previously a Japanese Super Famicom exclusive, having originally seen release in Japan in 1993. Recently, Square Enix localised the game for smartphones and the Switch version is presumably based upon the same code. A fan-made translation also appeared recently. It's also coming to PS4, PS Vita, Steam, Xbox One and Windows 10. The date? 15th of December. Mark it down, people. I'm in the middle of a Retronauts podcast about the first SaGa game (AKA Final Fantasy Legend). So now I really want to check this one out. Oh my God!!!!!! I love you Square! Just oh my God!! @Dr_Corndog Ah ah I've listened to this one just yesterday. Made me super curious about the series too. Stop! My wallet can only handle so much! $17.99 for phones so inevitably $34.99 for Switch. Wait....am I reading this correctly? They're. Bringing. Romancing. Saga. 2. To America??? "The New Game+ feature is only available for the smartphone version." Well, that's disheartening... Still getting this though! I was tempted to buy the ***** smartphone version. I’m happy that I didn’t. Could you port FF IX, FF X/X-2 HD, FF XII The Zodiac Age, FF XIII, World of Final Fantasy, Kingdom Hearts 1.5+2.5 HD to Nintendo Switch ? Only in Japan or coming to the West? Why not the first one? Kinda conflicted about this. I've had the smartphone version sitting on a wishlist for over a year, but not wanted to shell out £18 for it if I don't find the time to play it. By all accounts, it was a very good port - the only issues with it are those already intrinsic to the game. This is an early Nineties RPG, and a fairly quirky one at that. Tip to the uninitiated: don't grind. You'll pay for it in the end! Whaaat! This has been an awesome week for Nintendo. And there are no signs of slowing down. Remember when those Square Enix surveys went out two years ago? I spammed them with "TRANSLATE THOSE SNES RPGs!!!" "YOU'RE SITTING ON A TREASURE TROVE OF THE GREATEST GAMES EVER"
The trailer clearly listed New Game+ as a feature towards the end. Hope this a sign of things to come. Come on Square bring over all those classic SNES rpgs!! Dang. I wish I had time for this lol. That’s what i was dreading at first. I figured I would click on the article only for it to say for Japan only. This is awesome. Pretty cool and it's nice to see that they're not limiting the localized version to just phones. Not a fan of the new graphic style. I hope like Ultra SF2 it also has the original look. @SomeWriter13 Yup, with the exact same text I just posted. Pause the video at 1:46. I am so excited. I am definitely getting Bayonetta 3 for Switch. I loved 1 and 2 on WiiU. ..... Oo. Sorry wrong comment section, but look at the bright side, now you know my level of excitement. What about the first game in the series? You seriously want my very last penny, don‘t you, Switch? Well, you just know that I can‘t say no to you. Now, just release Chrono Trigger, Square, will ya! I already own the trilogy in physical form on Super Famicom. I wish they'd just re-release all 3, put them on a Switch cartridge and put it out there. I'd be more willing to dive back in . Wow. Hearing that beautiful SNES-era music really brought back some great memories. Instant add to my personal Wish List. This looks great. Definitely scratches that nostalgia itch. So many great games coming, makes me want a Switch of my own. What a pleasant surprise. This is one of the SNES classic sI never got around to spending time with. @Krull I don't understand? "Don't grind, you'll pay for it in the end"
Only Saga game I've ever played was Saga Frontier and it was great especially Emelias story! I would love Switch to become the next RPG powerhouse. It would also be amazing if squenix worked on porting everything. How great would it be to have all the final fantasy games on one ecosystem? This is exactly the sort of thing I've been wanting SE to bring to the Switch. Proper ports of the older FF games would also be great. Wow! This and Star Wars The Last Jedi on the same day? Winning! New graphics look great. New modes and content. Much more than we could hope for a port that most of us have never been able to play. Great job Sqenix! Holy... Where did this come from?! Way to take me by surprise, well I know what game I'm gonna play next. Good job Squeenix, you can be pretty cool every now and then. I've always been curious about something, though. Why has Square rereleased every pre-PS1 game on multiple platforms, but the PS1-PS2 era games stay exclusive to Sony? Why have Final Fantasies 1-6 been on everything but Final Fantasy VII-XII have only appeared on Playstation platforms (okay, FF7 did come to ios, but that's all). What would stop games like Final Fantasy VIII, or Legend of Mana, or Xenogears from appearing on a Nintendo platform? Looks cool, though I would had just prefer the Super Famicom original with English text but this one will do. At the end of the day though, it's still just another mobile port so hopefully the game runs well. I just hope this isn't a sign of Square Enix lazily ported every one of their mobile games to Switch and other platforms as their mobile Final Fantasy and Dragon Quest games (other than Dimensions and World of FF) were awful. @BanjoPickles If it makes you feel better Dragon Quest VII and VIII, both which were originally PlayStation 1 & 2 exclusives had being remake and release for 3DS. Never heard of this game before but apparently from reading the comments it looks like I need to buy this game. So I should just have my check deposited to the eshop is what you are telling me right? @Fred13 Apparently the game designer didn't want players to make the game easier by grinding levels, so the game scales up in difficulty with your levels. By the end, if you're overlevelled, the game can be more or less unbeatable. Wow, that's a nice surprise. I hope this does well, so we can get some more official translations of Super Famicom-only games. Smack between XenoBlade2 and NinoKuni2... Why would I even try to find time to play this. Dammit that looks good! Here I was thinking December was going to be a quite month. Is this continuation of the Final Fantasy Legends series?? @Timppis Final Fantasy Legend is actually the first game in the SaGa series. Square changed the name when they brought it West to capitalize on the Final Fantasy brand. I'm really starting to respect Square again. FF is so awful it hurts, but you have Setsuna, Lost Sphear, other promises, now this out of nowhere. They seem to have finally begun to care a bit again not to just release wonky filler and garbage while leaving the goodies elsewhere perhaps. Physical release?? Any region maybe? I can see my switch replacing my vita as jrpg and indie game goto. Sorry vita you did me proud, you poor unappreciated, over expensive memory card user you. I hadn't then yet played any Final Fantasies so for me it was a new thing. I might have to put it on my already WAY TOO LONG list of games still to be purchased on Switch. @Akropolon Ah I see what you mean! Yeah they could really use a bit more proofreading before releasing these videos. My bro was always playing these sort of games via emulation back in the day because he just wanted to play and ignored knowing all the Japanese. For me, however, I held off, but even with english translations I still hadn't played them. I stuck with Final Fantasy. So, is this similar enough to the old-school Final Fantasy games that someone such as myself can just pick up and play like the good ol' days? @ 1:37 - "We have grew the tree" ? If the video represents an official translation, that's pretty bad. Considering Square Enix's pricing model on Switch with other games they've developed it will probably be $29.99. It's great that we are getting it after all these years and even better that it can be played on Switch! I'd sooner have the Seiken Densetsu compilation they released in Japan for the Switch a while back. Also, what's with the oddball graphical style? High-res backgrounds mixed with SNES blocky sprites? That makes no sense at all. Unless it requires the extra technical grunt (which is obviously not the case with a retro re-release like this), why would any third party release a game on the Vita over the 3DS these days? I will still use vita even though I have a switch. There is a few reasons for this, 1 vita has a huge catalogue of Japanese games to catch up on. 2 it still gets Japanese games that won't make it to switch and vice-versa, this is also the case with indie. 3 I like to support vita island, I have made many friends on vita and we all still chat to this day on vita messaging, there's about 80 of us in a group. @BanjoPickles VII-X(-2), the XIIIs and Type-O aren't exclusive, they're all on PC as well. The only ones still Sony exclusive AFAIK are Kingdom Hearts and Chrono Cross.